When filming with a video DSLR, you sometimes need more than one monitor...but with just one HDMI port on the camera this can be as issue. That's where a splitter comes to the rescue. 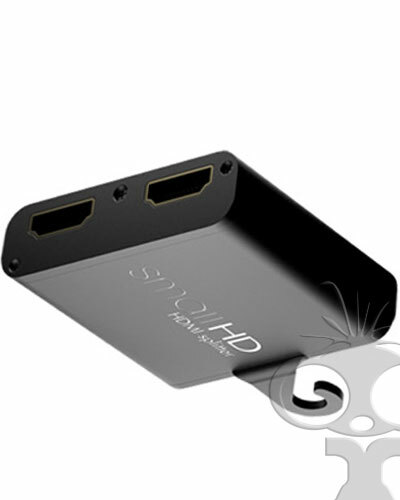 A splitter receives a single HDMI signal and sends out two - with no signal loss. The SmallHD splitter requires no external power in most situations and is invaluable on outdoor locations!